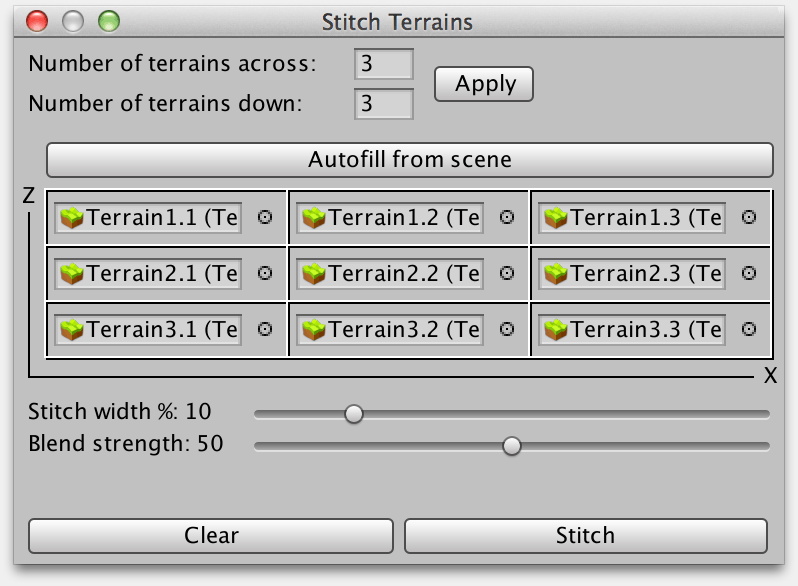 You can drag the terrains you want onto the appropriate slots in the Stitchscape window, or use the “Autofill from scene” button to populate the slots automatically. The “Stitch width” slider controls the width of the band of terrain that gets stitched, and the “Blend strength” slider controls detail. Stitchscape can also tile a single terrain with itself, so you can repeat it infinitely. 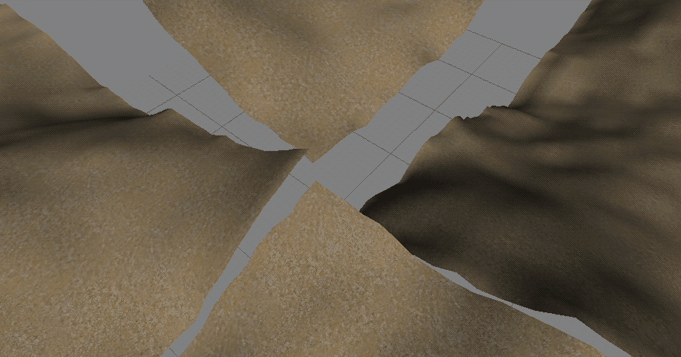 Stitchscape alters the terrains themselves (undo support is included), but use of Terrain.SetNeighbors is still required in order for terrain LOD to match up. Also, all terrains must have the same Y value and the same height. You can stitch terrains at runtime too, using a simple function. Stitchscape requires Unity 3.5 (and works with all later versions including Unity 5 and Unity 2017). Several licenses are available to suit your needs, starting at US$4.95. Source code is included, works on any platform. See more feedback about Stitchscape and other utilities!